Tomorrow is out last day of pumpkin! After that, I’ll be posting some Fall/Halloween treats. 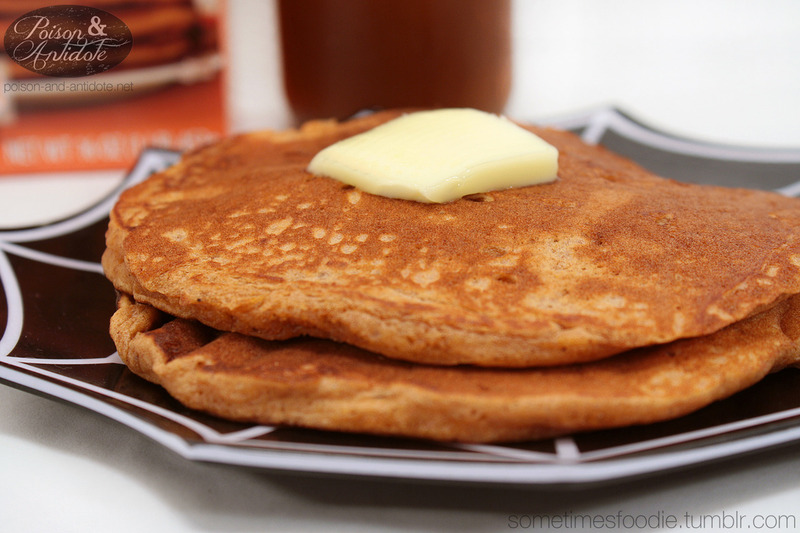 For now, here are some pumpkin pancakes. I bought the same pancake mix last year, and followed the directions on the back of the box to make them. They weren’t very pumpkin-y at all. So when I bought the mix this year I tried to experiment. This time, instead of following the directions (which said to add 1 cup of milk, 1 egg and 1 tablespoon of oil) I replaced the milk with pumpkin milk. 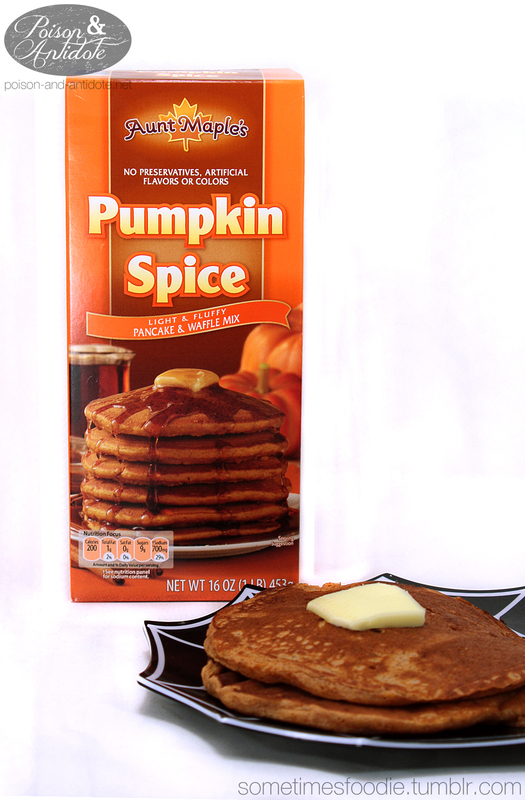 I was hoping it would make the overall pumpkin taste stronger and richer. With the addition of the pumpkin milk, I also served them with my homemade pumpkin syrup. This year, the pancakes tasted more pumpkin-y, but I am not truly satisfied with the flavor. I think I might play around with the recipe more. Maybe I’ll add applesauce instead of oil and see how that goes. On a pumpkin-y scale of 1-5 (5 being extremely pumpkin-y) I would rate this a 1 on it’s own. 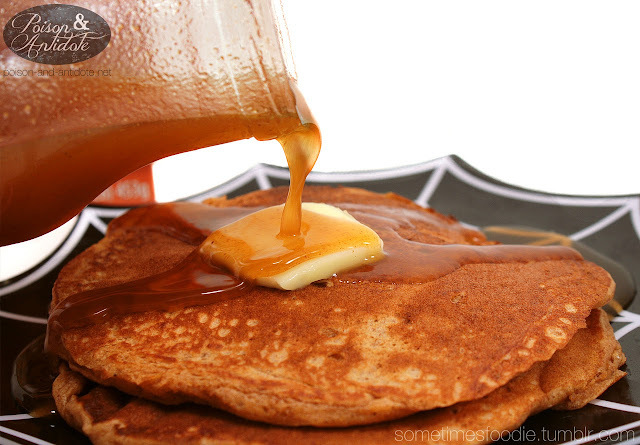 A 2 if it is made with pumpkin milk and served with pumpkin syrup.